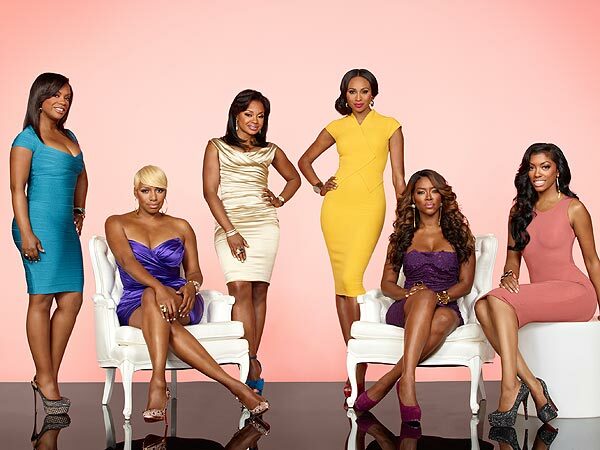 *A new super-trailer has just been released for season 5 of “The Real Housewives of Atlanta,” premiering on Bravo Nov. 4 with new additions to the cast. Kenya Moore, an actress and former Miss USA, and Porsha Stewart, a musician, philanthropist and NFL wife, will join series veterans NeNe Leakes, Cynthia Bailey, Kandi Burruss, Phaedra Parks and Kim Zolciak, now a mother of two. Among the highlights this season, NeNe, 44, is enjoying her gig on Ryan Murphy’s NBC sitcom, “The New Normal,” and happy homemaker Kim says in the trailer: “We’re homeless.” There is also footage of someone loading her furniture into a moving truck. Aspiring mortician Phaedra appears to be laying pets to rest as well, and are she and husband Apollo stepping into a love triangle?